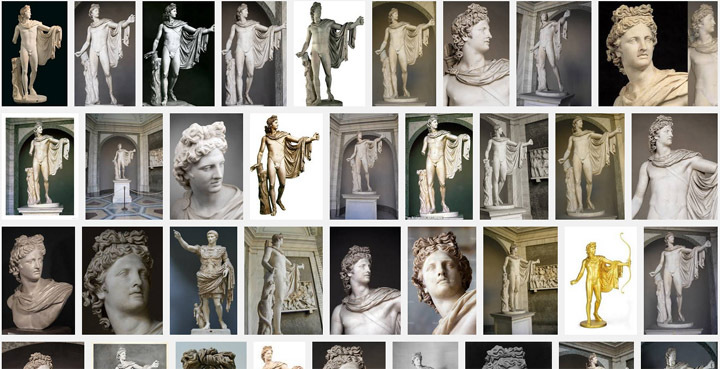 This hurried shot of the Apollo Belvedere in the Vatican is horrible compared to the amazing images available online of this famous statue. Everyone’s crowding around to see the Mona Lisa, the David, or Rembrandt’s self-portrait. It’s not because they want to see these pieces, it’s because they want to take a picture of the “famous” art. This is incredibly frustrating for anyone who actually wants to see the piece. It also creates a serious crowding problem as people jostle for the best camera position. Just don’t do it! 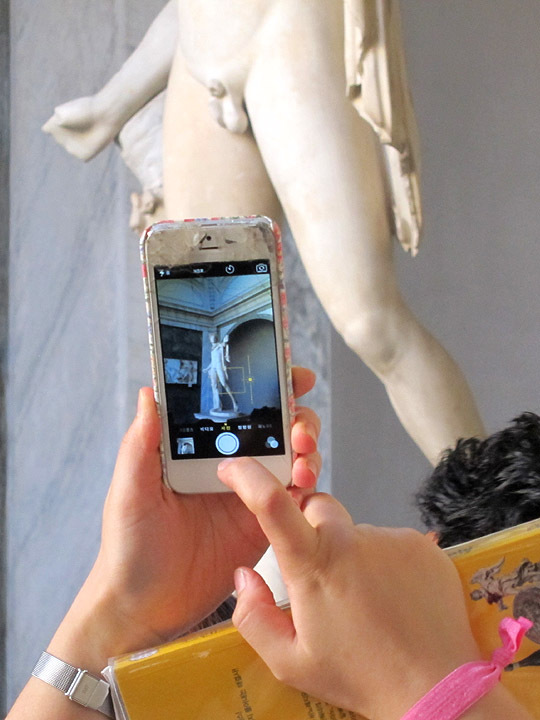 Think about it, what are you really going to get from the poorly lit cell phone photo of the “Venus de Milo”? Art is something to be experienced – that’s why you’re traveled all the way here and have chosen to spend a precious half day in Paris at the Louvre rather than strolling the boulevards. (Nothing against strolling; hopefully your Day 2 involves lots of boulevard strolling.) I’ve written about having a good museum experience before, but basically it comes down to looking around, finding what you like, and letting yourself be present with the art. With all the great digital images of art available on the Google Art Project, Wikipedia, museum websites, and other sources, there is really no reason to take a picture of a well-known work of art. The picture you take will never be as good as the photographs available online. Needing to snap your own picture is purely selfish. More importantly, it cheats you out of your only chance to get a good look at the real thing in person. Case in point, Google this painting: Robert Vonnoh – Springtime in France. I think it’s a gorgeous painting and was done by an artist you’ve probably never even heard of. Spend your time in a museum looking for your own treasures like this one. Now if your habit is to take pictures to help you remember things, like a delicious new wine or a book recommendation, then just write down (or ok, take a picture of) the title of the artwork and the artist. 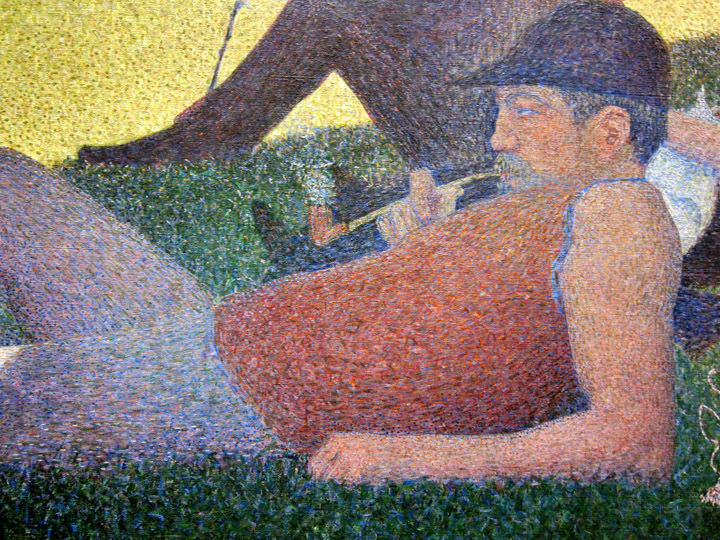 When you get home, searching for this piece will reconnect you with your trip and will help you discover related works or similar artists in a way you could never do in the physical museum itself. I definitely do this when I find something I like! As much as I think you shouldn’t photograph works of art, I do believe in a couple very notable exception. Think of museum photography as a type of art photography. Viewers often see beauty or meaning in the wholeness of the work of art, so challenge yourself to look for beauty and meaning in the details and then use your own photography to share this discovery. Vincent van Gogh is one of my favorite artists. I love the wild movement of his brushstrokes and his incredible use of bold complementary colors that seem to grapple with each other across the canvas. I could spend hours looking at catalogs of this work, but these photographs don’t capture the physically of his paintings. 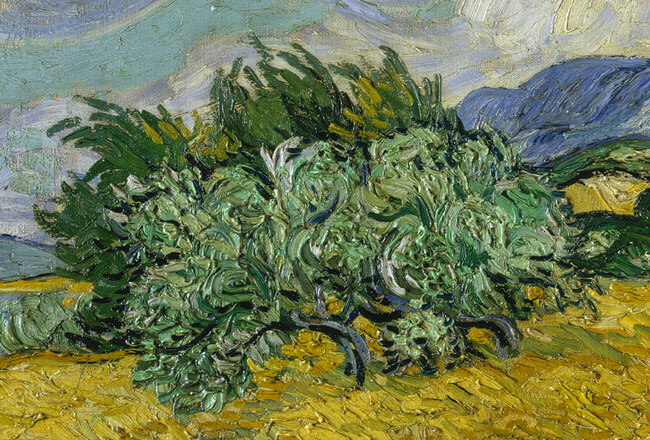 Van Gogh slathered paint on his canvases at times creating thick ridges on the surface known as impasto. Standing in front of one of his paintings, I imagine Van Gogh working feverishly, picking up huge globs of paint from his palette, slashing across the canvas, and even mixing pools of paint directly on the surface. But I only imagine this when I can see the actual paint itself. 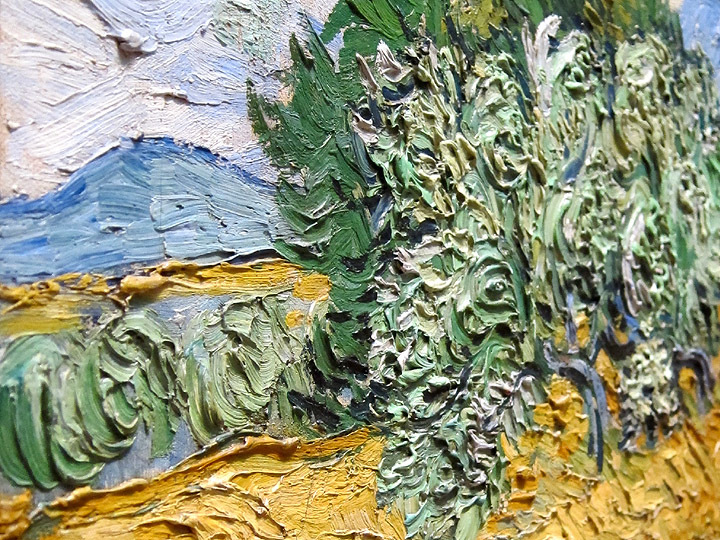 So if I can, I like to photograph the beauty of Van Gogh’s technique by looking at the texture of his paintings. That’s how I take the experience of being in front of the painting home with me. I’m often awed by craftsmanship and technique so I seek out these details when looking at a work of art, but maybe something else will strike you. Is there a figure in the corner who fascinates you? Is there a symmetry or shape that’s interesting? Does a portion of the painting hold up as its own as a cropped image? If the photograph helps documents your experience or your discovery in front of the work of art, then it is worth taking the picture. Curators put a lot of effort into selecting and arranging pieces, as well as designing the space in which to display art. 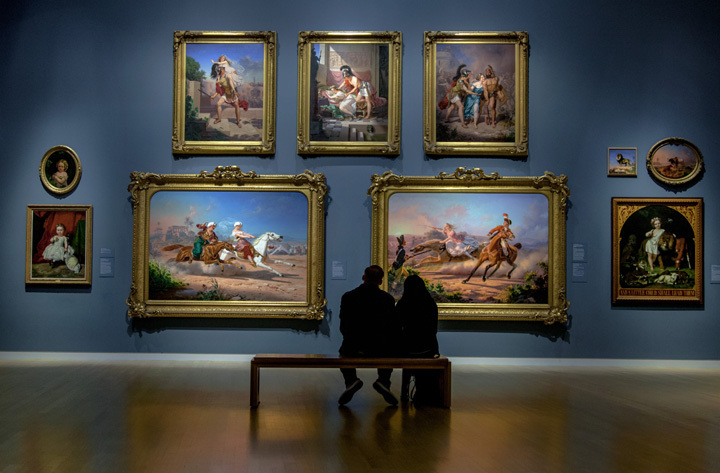 Because a good museum environment enhances your experience, it’s easy to overlook the conscious selections made in preparing the museum. Sometimes a broad view of a gallery rather than of a single work of art can capture this impressive synergy. 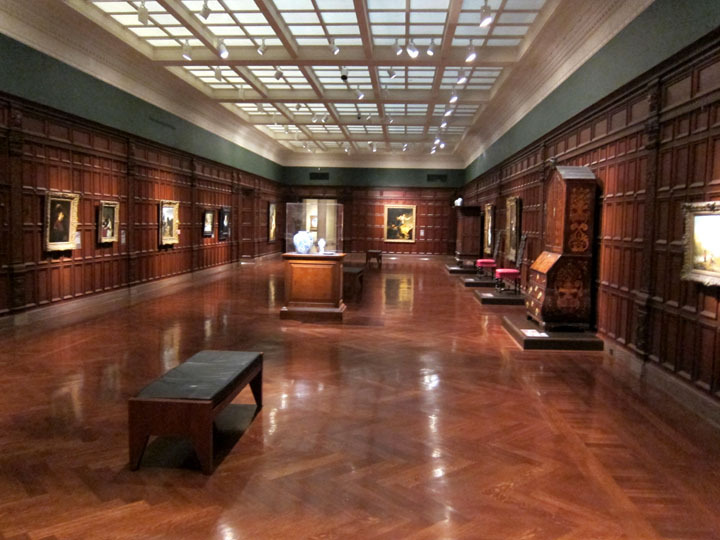 Elegant wood paneling and flooring in the Dutch Galleries, Cincinnati Art Museum, places art in a domestic 16th century viewing environment. Again, think art photography. While in #2 you were looking for insights in the small parts of a painting, now you are looking for themes and richer meaning from groups of art. 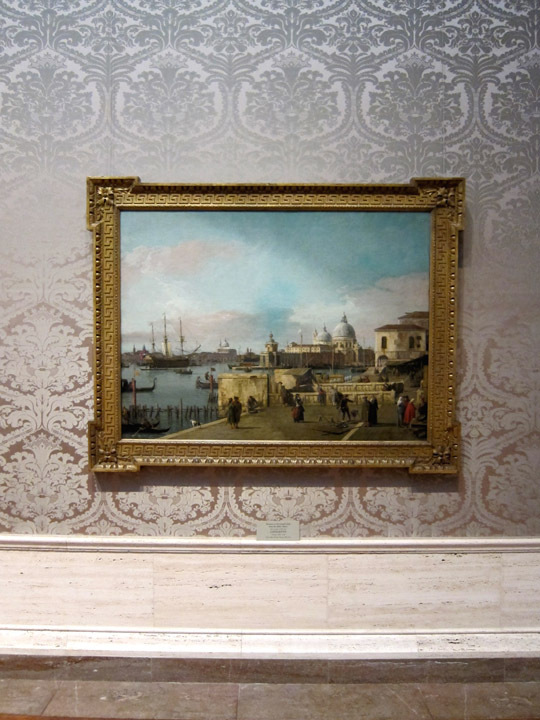 Frame your photographs to show contrast and complementarity within the gallery. There’s an obvious connection between these two works at the Smart Museum of Art at the University of Chicago which were featured in a special exhibit about the human body as art. 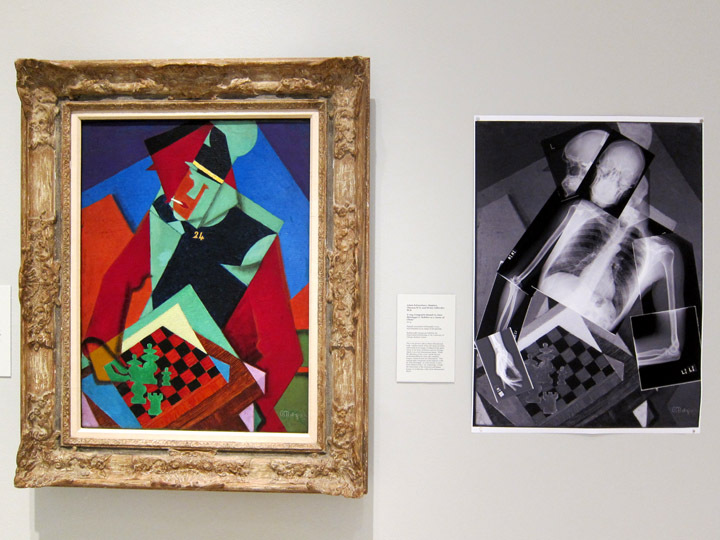 (left) Jean Metzinger’s “Soldier at a Game of Chess” (1916) hangs beside (right) “X-ray Composite Based on Jean Metzinger’s ‘Soldier at a Game of Chess’ ” (2014) by Adam Schwertner, Stephen Thomas MD, and Brian Callender MD. Metzinger was fascinated by x-ray technology’s ability to reveal the unseen in which case he may have liked this modern interpretation of his painting. Capture the frames, wall color, symmetry and lighting to better express your viewing experience. 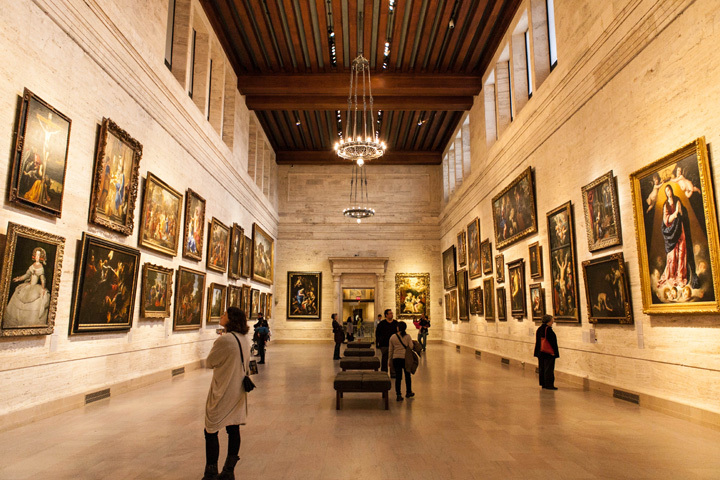 I find that many museums are works of art in themselves so it makes sense to document and explore the the elegant architecture of the gallery space. I will start by admitting that I cannot take selfies. I just end up looking surprised which makes no sense for a photo one takes of oneself. Despite my bewilderment and skepticism, there’s no escaping the selfie. 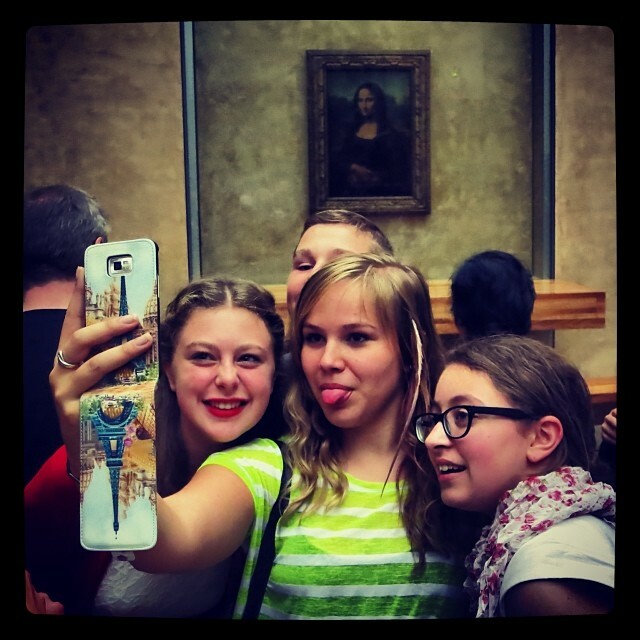 There’s a growing Tumblr dedicated to Museum Selfies and even a proclaimed “Museum Selfie Day” (Jan 21, 2015), but it begs the question, why take a selfie in front of art? Are you using the selfie to document that you were there? Art (and travel for that matter) is not a check-box list. Much like Rule #1, don’t take a picture of yourself in front of something just because it is famous. A selfie in front of the Mona Lisa or the Taj Mahal simply shows that you were there and doesn’t transmit any of the meaning or experience of being in those places. What did you think about the work of art? What did you experience in front of it? Without any context, a selfie just feels like you were standing in everyone’s way to take a picture of yourself. And as someone who has been shooed away from art for someone else’s selfie, that is not a fair use of museums. Instead, think of a selfie as your way to react to, build off of, or respond to the work of art. 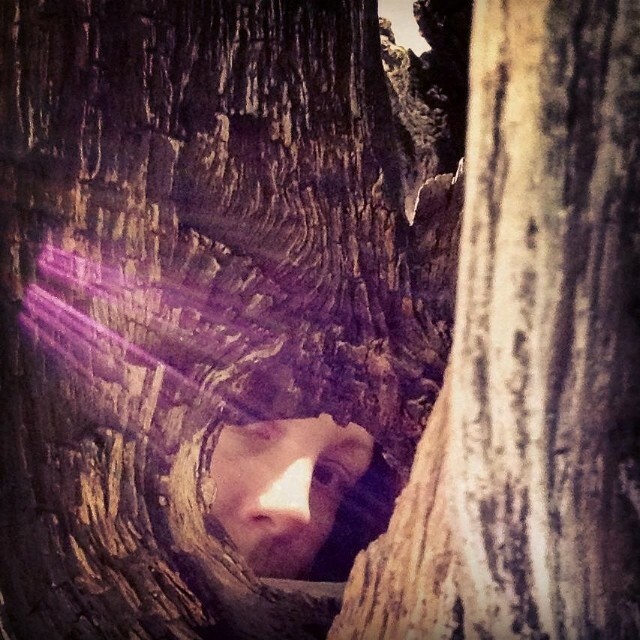 Try something creative – this is a self-portrait after all! 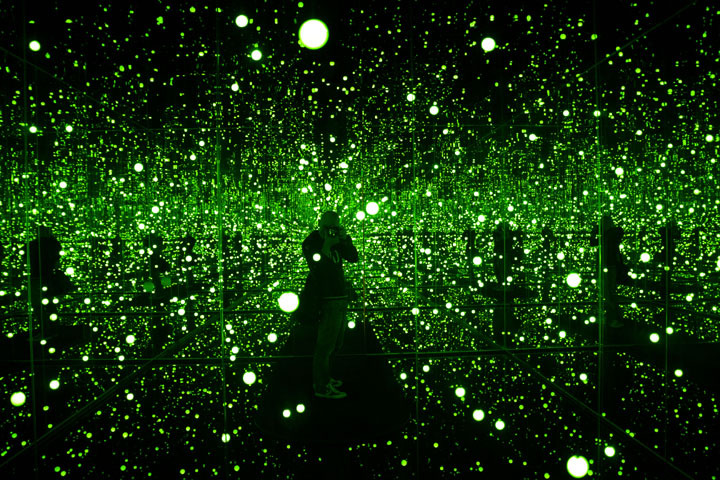 Yayoi Kusama’s “Infinity Mirrored Room” (2013) is an experiential piece in which visitor enter an seemingly vast space created entirely from mirrors and lights. I’ve seen self-portraits inside this piece that appear to contemplate the expanse of the universe or show the photographer realizing his or her uniqueness amid a sea of stars. 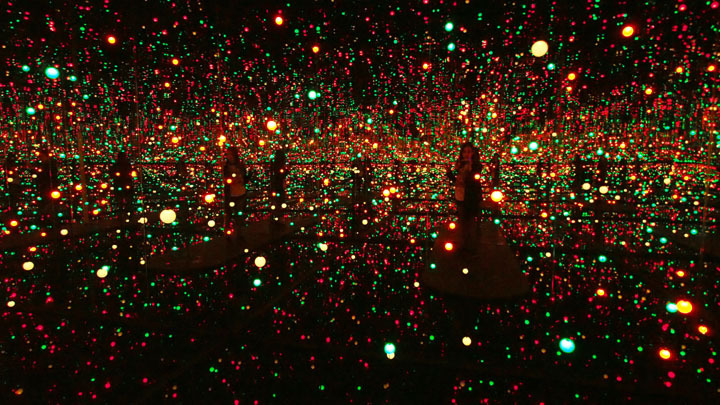 Kusama’s work is designed to dialogue with visitors which is why it leads to such amazing self-portraits. 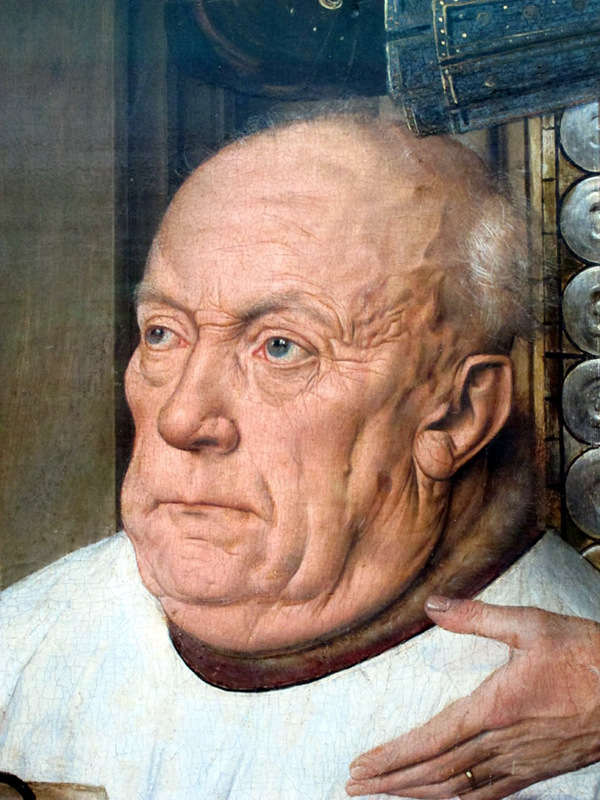 It’s harder to interact with 17th century panel paintings, but if you can figure how to, then that’s worth a selfie. Museum photography is about capturing the most beautiful, unique, and special elements of your visit. Find the pieces, details, and rooms that are meaningful to you. The points I made above should help you focus on experiencing the art and allowing others around you to have their own experience as well. Museum photography is the vehicle for bringing that experience home with you or for communicating the experience to others, it is not the experience in itself. So above all, enjoy being in museums with the art! Let me know what you think and have fun finding your pictures! 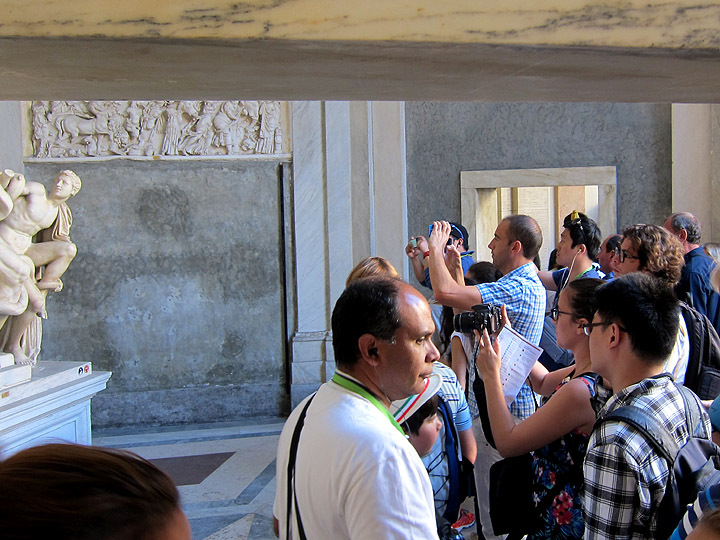 This post was inspired by my trip to Rome in October when I tried to visit the Vatican. I couldn’t get close to any of the ancient statues because they were mobbed with people taking photos. (You’ll see in the post that I took some pictures of people taking pictures.) Then when I was trying to look critically at da Vinci’s St. Jerome, someone asked me to move so that they could take a selfie! (Luckily they took their photo and moved on so I then had the painting to myself.) I was just struck by how mindless the photo-taking was. People were not looking at the art; they just snapped a picture and moved on. I definitely take pictures in museums, so I can’t advocate for everyone to ban cameras, but it has to be purposeful photography. I wish people would pay attention to the art first and then think about their picture. I have a low tolerance for selfies but recognize that that is how some people engage with art. If picture taking gets out of control, then I guess I would rather have no photography than mobs of people disrespecting the galleries and interfering with the experience of people who genuinely want to see the art. Many good ideas here. I was surprised by my last museum visit (at the Legion of Honor Museum in San Francisco). There was a man taking a photo of every single painting and then every single description. It was annoying because I had to wait for him sometimes. I enjoy taking photos in museums but am conscious of the people around me. I am curious how I will feel next time in Europe because the museums there have gotten so crowded with people taking photos. This is a great reminder. Now that I’m always taking photos for the blog, I tend to overdo it in museums. At least I try to focus more on pieces I like rather than the famous ones. We’re heading to Paris soon and plan to visit as many museums as we can in a week so hopefully I can remember to put the camera away and simply enjoy the experience. And selfies in museums (and churches!) are just plain tacky. I totally understand how blogging changes you picture taking habits! Finding photos to tell a story is a wholly different mindset. If you focus on interesting pieces on your next museum trip, you should be all set. I really just want people to be more mindful in museums and avoid letting the camera interfere with the experience of being in a museum. Enjoy your trip to Paris! And yes, selfies in a church are definitely tacky!